Food is fundamental to life, nourishing us in body and soul. The preparation of food strengthens our connection to nature. And the sharing of food immeasurably enriches our sense of community. Good food begins with unpolluted air, land, and water, environmentally sustainable farming and fishing, and humane animal husbandry. Food choices that emphasize delicious, locally grown, seasonally fresh, and whole or minimally processed ingredients are good for us, for local farming communities, and for the planet. Cultural and biological diversity are essential for the health of the earth and its inhabitants. Preserving and revitalizing sustainable food, fishing, and agricultural traditions strengthen that diversity. We support and encourage purchasing meat raised without the overuse of antibiotics. We further support the actions of farmers and ranchers, our fellow chefs and other experts working to curb antibiotics misuse in animal agriculture. We believe progress has been made when it comes to animal welfare, and that there is still a long way to go. Chefs and food professionals have enormous buying power, and this power means that what chefs and food professionals choose to buy for their restaurants and businesses can help build demand for more sustainable meat, open new markets, and serve as a positive example for all eaters. We encourage chefs to ask more questions and learn about how the animals that they buy were raised, transported, slaughtered, and butchered – and about the quality of life of the farmers who raise these animals as well. 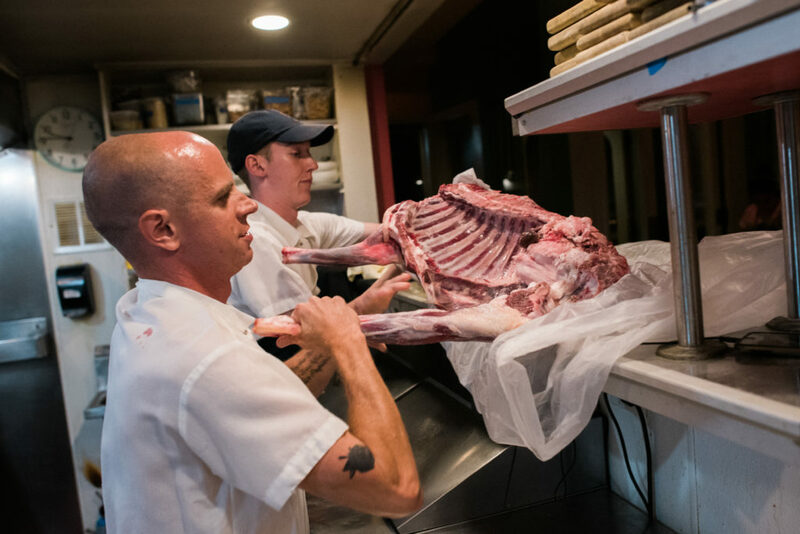 Chefs Collaborative hosts Meat Matters industry workshops, field trips, butchery demonstrations and dining events to help educate and inspire fellow professionals and all eaters about sustainable meat options. We have also hosted Chef Power Hour industry calls on important topics in sustainable meat. Check out our Chef Power Hour recordings here. Be sure to sign up for our newsletter to stay in the know, and keep tabs on our Events page for upcoming Meat Matters programming!